Cat called early in the morning and booked us for dinner so that we won’t commit to other appointments for the evening. I suggested early dinner as the kids have school the next day and I want to be home on time to catch the 2011 Community Shield match between Manchester United & Chelsea. 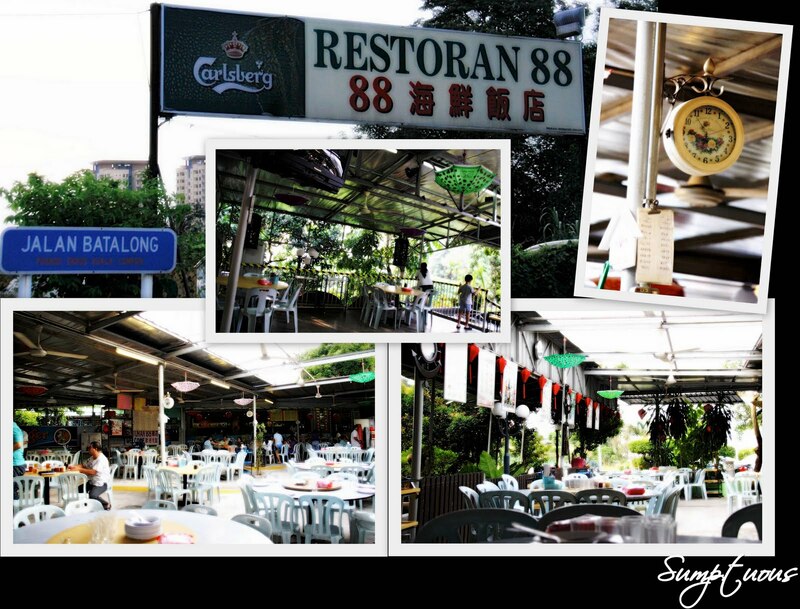 Since we didn’t intend to travel far, we decided to dine at Restaurant 88. Inconspicuously tucked away in a secluded corner near the Continental Condo, one may never guessed there is a restaurant at this vicinity. Despite its location, this restaurant is normally packed with customers after 7pm, especially on weekends, so prior reservation is advised. Minimal parking lots are available in the compound of the restaurant but there’s also a big open space parking right next to this outlet. This restaurant can accommodate up to 200 pax at one go. One may choose to dine al fresco (not raining/retractable corrugated roofing), semi-private (2 tables for 6 person) or at an elevated area right at the far most of this outlet. The empty tables goes to show how early we were! 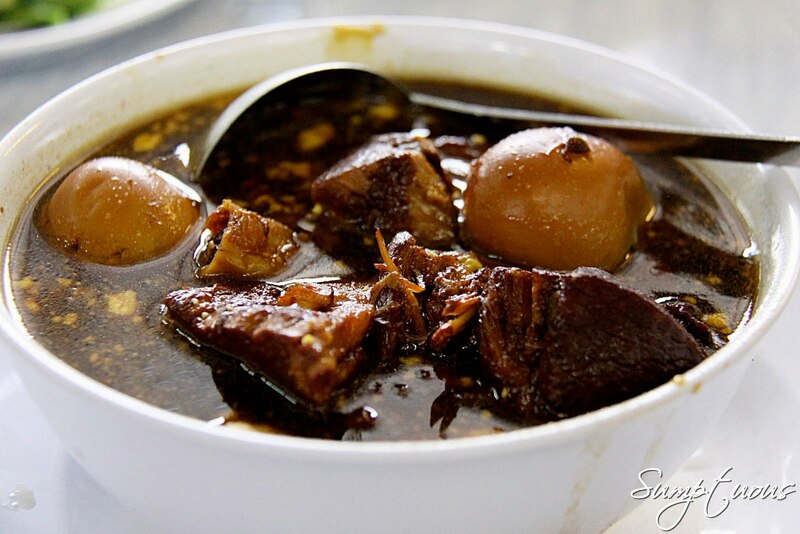 Pig Trotter in Sweet vinegar @ RM 15.00 ~ Cat & mom shook their heads the minute they took a sip of the gravy! Guess it must be really below par as the both of them are pro at cooking this dish. Wonder why they went for this in the 1st place and honestly, this is the first time I see boiled eggs in it! Looks more like braised pork to me! Would definitely give tis a miss the next visit. 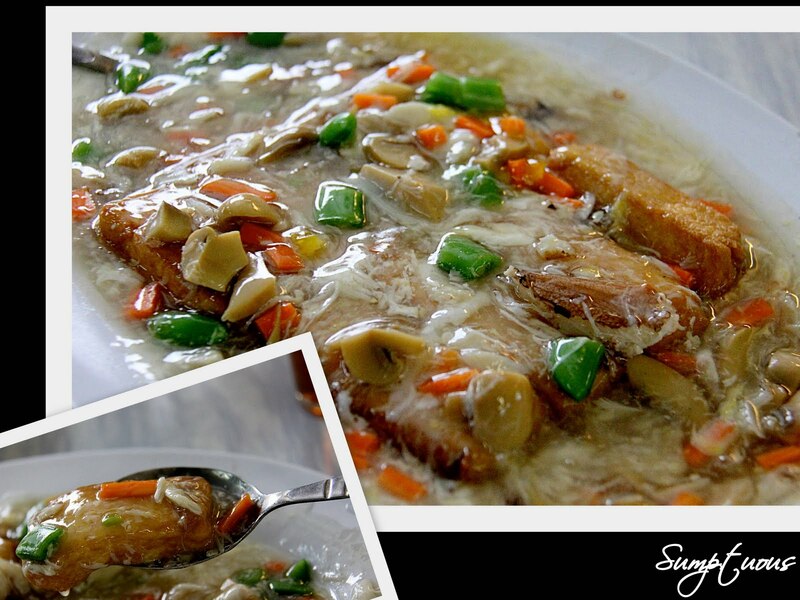 Crabmeat Bean curd (蟹爬豆腐) @ RM 15.00 ~ Bean curd is smooth but the gravy is way too starchy. Yin Her still serves the best on this! 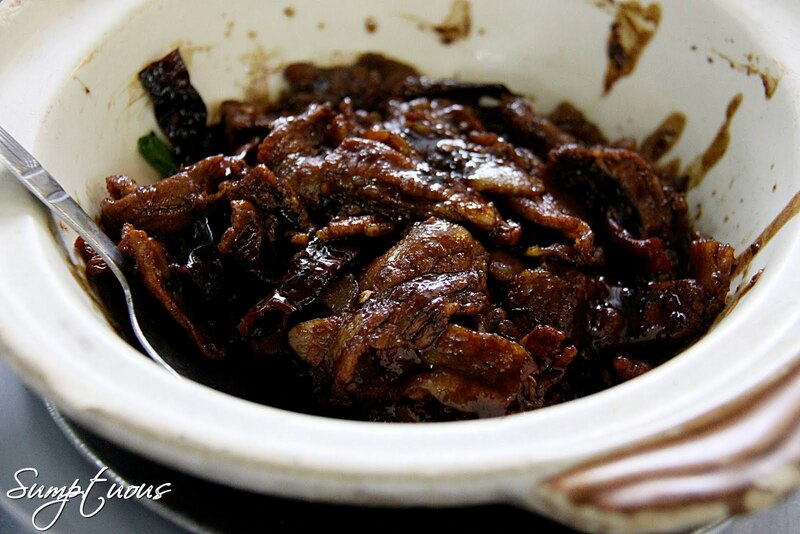 Claypot Pork Belly with Salted Fish (咸鱼花腩煲) @ RM 15.00 ~ The scent of salted fish filled the air the minute this dish was placed on the table but the meat was not tender enough. It was slightly overcooked. 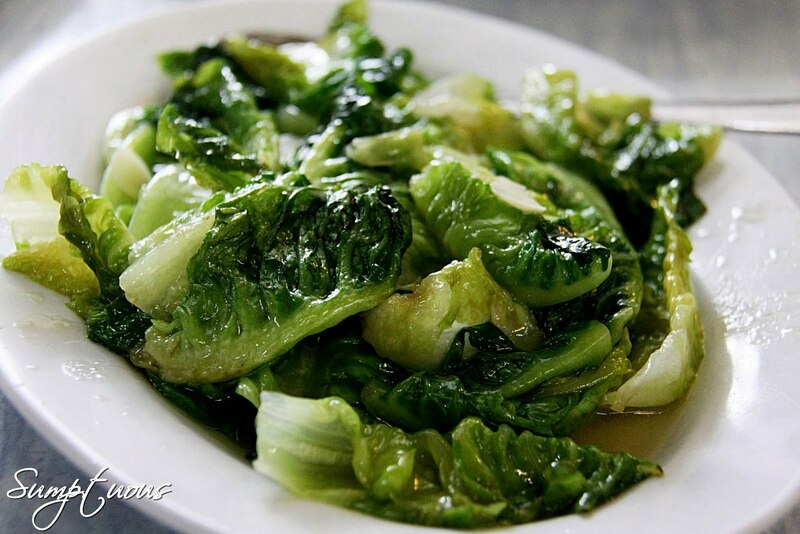 Stir-fry Romaine Lettuce (清炒油麦) @ RM 12.00 ~ Fresh & crunchy! 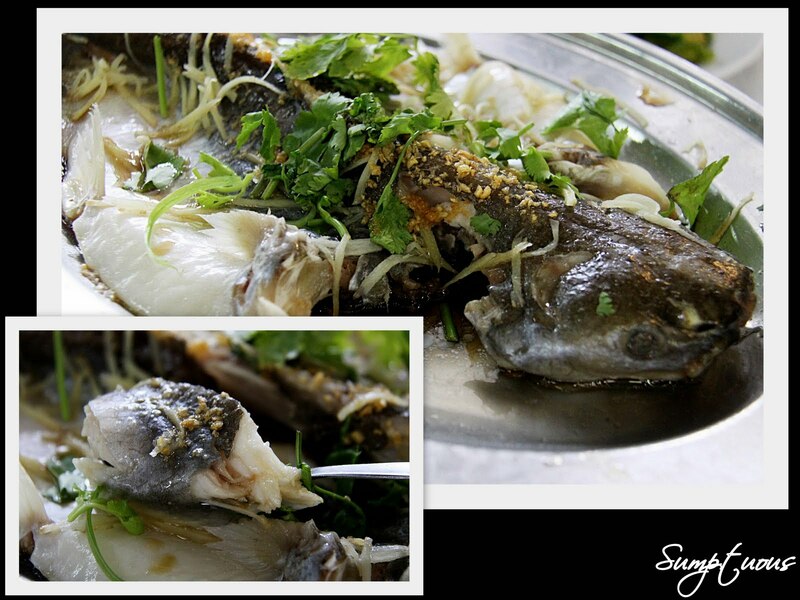 Soy Steamed Patin (Silver Catfish) @ RM 54.00 ~ Fresh and sweet but the lack of sauce took away some points. Recommended but must emphasize on more sauce. Shaved Ice (ABC) @ RM 3.00 ~ Thirst quencher and worth the money! This location map may help a little in indicating the whereabout of 88 if you don’t have a GPS or not too familiar with this area. Totalled at RM 135.00 inclusive of a bucket of plain rice (RM 12.00) and a pot of Pu Er Chinese tea (RM 7.00) The rice was too much for 5 adults and 3 kids. Maybe should ask for a smaller version the next time. Will definitely come back for its seafood! 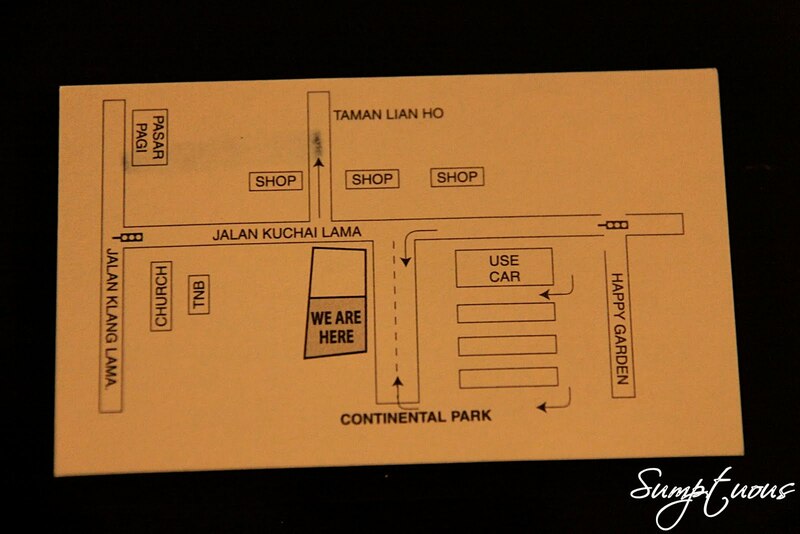 This entry was posted in Chinese, Chu Char, Happy Garden, Jalan Klang Lama, Seafood. Bookmark the permalink.